Common, yearlong resident in open habitats including grassland, chaparral, riparian, and other wetlands. Occurs throughout the state from sea level to 1680 m (0-5500 ft), avoiding dense forests and open desert habitats. Often found in vicinity of human communities (Grinnell and Miller 1944). Resident of all Channel Islands except San Nicolas (Garrett and Dunn 1981). Feeding: Feeds primarily upon mice, rats, voles, pocket gophers, and ground squirrels. Also eats shrews, insects, crustaceans, reptiles, and amphibians. Small birds, such as blackbirds, important food in winter. Hunts on the wing, from a perch, hovers, stoops, in open fields, wetlands, and grasslands. Cover: Dense foliage of trees and shrubs, buildings, and cliffs used for roosting cover. Reproduction: Usually nests on ledges, crevices, or other sheltered areas of cliffs or human-made structures. Also nests in cavities in trees or snags, burrows, culverts, or nest boxes (Reese 1972, Call 1978). Water: Most water needs apparently met by food. Pattern: Uses open habitats for hunting near cliffs, ledges, human-made structures, or trees or snags, which provide roost and nest sites. Activity Patterns: Active yearlong. Primarily a nocturnal hunter, with limited crepuscular activity. Home Range: Pair retains roughly the same home range throughout the year. Evans and Emlen (1947) reported a hunting range of about 67 ha (165 ac) near Davis. Minimum home range in Oregon was estimated to be 2.0 km² (0.8 mi²) per pair (Thomas 1979). Territory: In Utah, an area 5-9 m (15-30 ft) around the nest was defended (Smith et al. 1974). Reproduction: Monogamous; most breeding occurs January through November. Clutch size 3-11, usually 5-7. Often produces 2 broods per yr. Brood size averaged 2.8 to 4.7 in southern California (Henny 1969). Gallup (1949) found a mean of 4.2 young per nest from 1928-1946 in San Diego Co. Incubation 21-24 days (Bent 1938, Smith et al. 1974); young fledge at 52-70 days (Pickwell 1948). Male feeds female during incubation; male and female brood. Clutch size and fledging success apparently affected by prey availability and severity of preceding winter. Niche: Predators of young include prairie falcons, great horned owls, and golden eagles (Bent 1938, Carnie 1954). Great horned owls apparently are strong competitors for food in some areas (Smith and Marti 1976). Bertrand, G. A., and J. M. Scott. 1979. Checklist of the birds of Oregon. Audubon Soc. of Corvallis. Corvallis, OR. 17pp. Bloom, P. H. 1979. Ecological studies of the barn owl in California. Pages 36-39 in P. P. Schaeffer and S. M. Ehlers, eds. Proc. Natl. Audubon Soc. Sympos. on owls of the west. Natl. Audubon Soc. West. Educ. Cent., Tiburon, CA. 97pp. Call, M. W. 1978. Nesting habits and survey techniques for common western raptors. U. S. Dep. Inter., Bur. Land Manage., Portland, OR. Tech. Note No. 316. 115pp. Carnie, S. K. 1954. Food habits of nesting golden eagles in the coast ranges of California. Condor 56:3-12. Evans, F. C., and J. T. Emlen, Jr. 1947. Ecological notes on the prey selection by a barn owl. Condor 49:3-9. Gallup, F. N. 1949. Brood size in the barn owl. Condor 51:189. Henny, C. J. 1969. Geographical variation in mortality rates and production requirements of the barn owl (Tyto alba). Bird-Banding 40:277-290. Karalus, K. E., and A. W. Eckert. 1974. The owls of North America. Doubleday Co., Garden City, NY. 278pp. Payne, R. S. 1962. How the barn owl locates prey by hearing. Living Bird 1:151-159. Pickwell, G. 1948. Barn owl growth and behaviorisms. Auk 65:359-373. Reese, J. G. 1972. A Chesapeake barn owl population. Auk 89:106-114. Smith, D. G., and C. D. Marti. 1976. 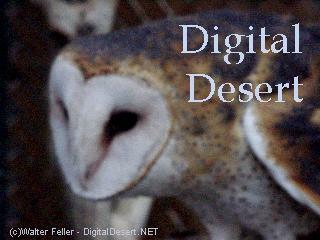 Distributional status and ecology of barn owls in Utah. Raptor Res. 10:33-44. Smith, D. G., C. R. Wilson, and H. H. Frost. 1974. History and ecology of a colony of barn owls in Utah. Condor 76:131-136. Thomas, J. W., ed. 1979. Wildlife habitats in managed forests: The Blue Mountains of Oregon and Washington. U.S. Dept. Agric., For. Serv., Portland, OR. Agric. Handb. No. 553. 512pp. The nocturnal Barn Owl likes to hunt in areas such as canyons and washes near trees where it can perch. This 15-20 inch tall predator prefers small mammals such as antelope squirrels and mice, but when scarce will attack small birds. After being caught the prey is torn apart and swallowed bones and all. Mostly white with yellow, tan and buff speckled markings, the distinctive heart-shaped white face is rimmed by curved tan feathers. The Barn owl is a raptor.